Three years ago, Tony Echaniz didn't even have fields or equipment for his fledgling club, Tacoma United. 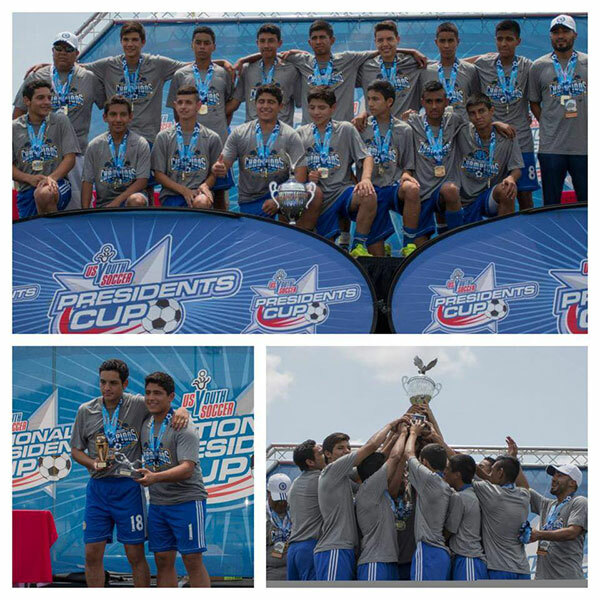 Today, he and his Tacoma United 98 Boys have a National Presidents Cup title. Times have changed that quickly for Echaniz, who started the club in 2009 to provide opportunities to underserved kids, mostly from Spanish-speaking families, throughout South Tacoma. "We want to give every kid in this area who wants to play soccer ? whether they speak English, Spanish, or another language, whether they can afford equipment or not ? the chance to play on a team and have fun playing the game," Echaniz said at the time. For the club's first two years, Tacoma United had no fields of its own to play on, scattering its teams throughout the Puget Sound region to anyplace a club had a few empty fields. In 2011, The Tacoma Public School District and Metropolitan Parks District worked with Echaniz and Soccer Across Washington committee chair Tracy Murphy to secure field time in Tacoma, Sounders FC donated goals, and Starfire Sports' Teddy Mitalas contributed 100 balls. Tacoma United finally had a home ? and now, it has a trophy to put there. 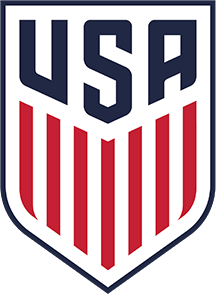 In July, Echaniz's boys went undefeated in five games at US Youth Soccer's National Presidents Cup, featuring the winning boys and girls teams from the U13 to U17 age groups from the four Regional Championships held across the country in June. After holding on to defeat South Texas' Huskies Soccer Academy, 3-2, in the tournament opener, and edging New York West's Soaring Capital Firehawks, 1-0, in their second game, Tacoma United proved its mettle in its final group-play match against Illinois' SASA Spirits 99. After seeing its 1-0 lead erased in the 28th minute by Tacoma United's Brayan Torres, the Illinois team scored again in the 57th minute to put Tacoma United just 33 minutes from elimination (a 2-1 win by SASA Spirits would have knocked Tacoma United out of the championship game on goal difference). However, Tacoma United's Nikolas Mejia leveled the game again just two minutes later, the first of three-straight goals by Tacoma United (including Bryan Flores and a second by Mejia) that clinched a 4-2 win and a spot in the final. Facing Huskies Soccer Academy for the second time, Tacoma United again found themselves in a 1-0 hole, courtesy of a 40th-minute goal by the South Texas team. Just as they had in the previous game, though, Tacoma United responded almost immediately with a leveler, with Torres knocking in a shot in the first minute after halftime to erase the deficit. Vicente Aquino Contreras put Tacoma United ahead in the 53rd minute, and Flores added an insurance goal in the 67th, capping off a 3-1 win and the National Presidents Cup title ? the first ever won by a Washington Youth Soccer club. "We are so proud of our boys and the way they played, showing what bright futures lie ahead of them," Echaniz says. "This team has been together since they were U7, starting from a rec team all the way up through RCL. It was a tremendous experience for them to play against the top teams from across the country. Our boys were pushed to play past their limits, and the work finally paid off. We overcame all the obstacles, and accomplished something we never thought was possible. In addition to their trophy, the team received several additional honors. Contreras, who scored five goals in Tacoma United's four games, earned the Golden Boot as the tournament's most valuable player, while Uriel Garcia was honored with the Golden Gloves for his work in goal. The team was also honored with the Sportsmanship Award for its outstanding fair play throughout the tournament. Contreras credited "the whole team" for his Golden Boot, while Aquino also dedicated his award to his teammates, noting his backline played "ridiculously well," making his job easier behind them. "Vicente was a key player for us, scoring goals when we needed them the most, and Uriel made some trememdous saves," Echaniz says, adding of the Sportsmanship Award that it was a credit to the players' "composure, fairness and respectfulness." "Thank you to Washington Youth Soccer, District 3 and Tacoma Pierce County Junior Soccer Association for all of their support," Echaniz continues, "and to all of the parents for making this possible. Thanks to all, it is an honor and a privilege to call ourselves National Champions." To see video from the final, click here!